Posted January 13, 2019 by Sarah Lederle & filed under . It’s simply amazing how many kids are enamored by the excitement and thrill of our furry friends. Visit any race start and watch the children (adults too) in awe as the countdown starts. 10,9,8,7,6… 1 and they’re off! 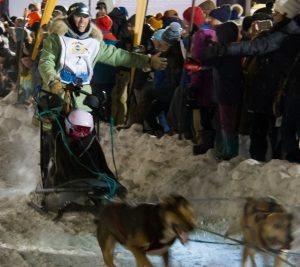 Students do not need their own dogs or previous mushing experience to participate – equipment and dog teams are provided by the Pedigree® Stage Stop. 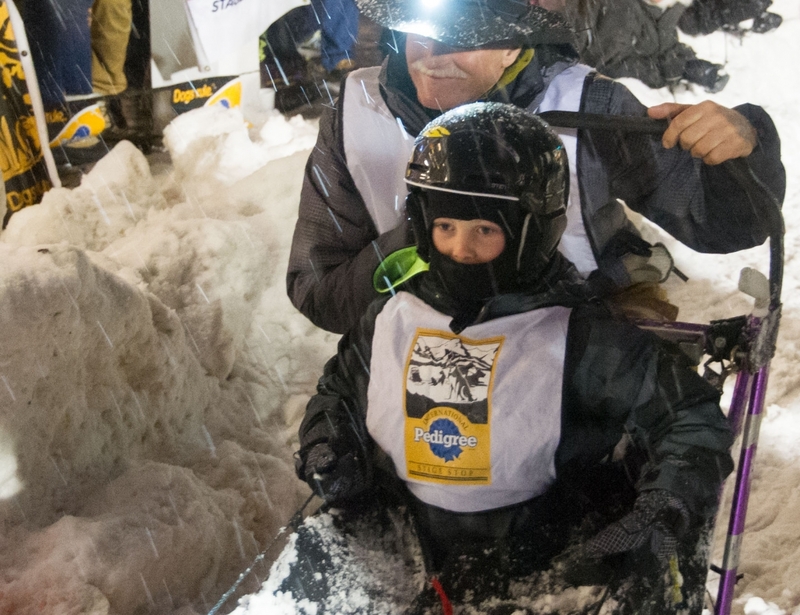 This year 19 kids from Wyoming and Idaho will call themselves Junior Mushers. 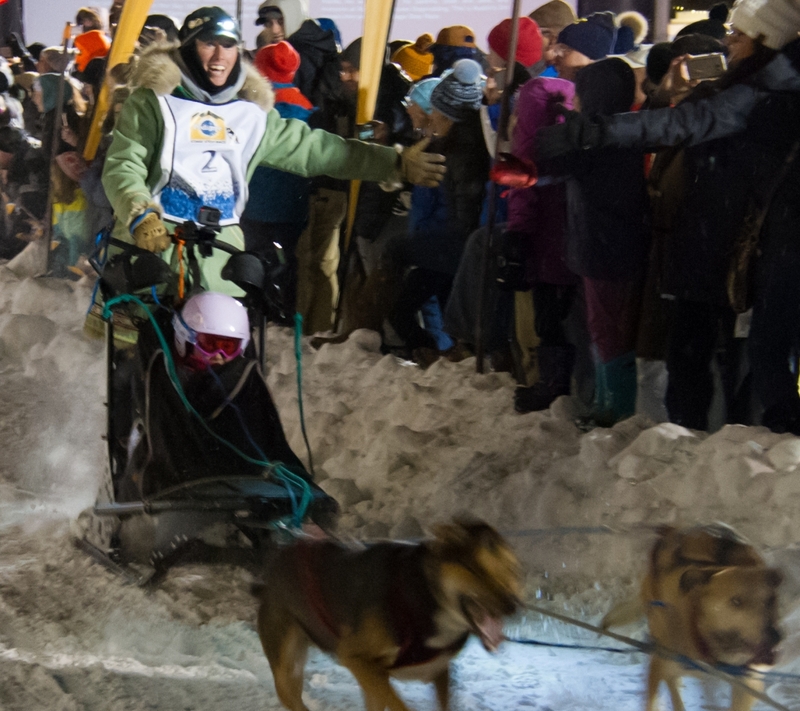 To become a Junior Musher students must fill out an application and complete ten hours of community service for any organization of their choice. Through the program, an excited 10-year-old that was at one of last year’s legs can now have a chance to ride in a sled with a musher at the start in Jackson. How awesome is that? Teachers can also schedule field trips to different stages to let students cheer on the racers and learn about racing. That’s where Lead Teacher on the Trail for the 2019 Pedigree Stage Stop, Katie Williams, comes in. She is spectacular and brings a passion for mushing to her job. Williams coordinates the field trips and musher visits to schools, contacting schools months in advance. She also creates educational materials for teachers who wish to incorporate the race into their curriculum. Junior Musher is a great way to introduce kids to dogsledding! As with any activity, it’s not for everyone and some rules do apply. See links on this page for more information. Sign up, saddle up and away we go! Come to the start in Jackson January 25 to cheer on these amazing youth in the ride of a lifetime!